Farmers invest a lot of time, money, effort, and resources into their crops. They’re awake before the sun comes up and they work all day in the blazing heat. They invest in costly machinery and equipment. They work hard because farming is their business. Their way of life. But it’s pretty counterproductive to invest so much in harvesting agricultural products if you’re going to skimp out when it comes time to store those crops. When you’re not storing your crops properly, all of your time, efforts, and profits could go down the drain. 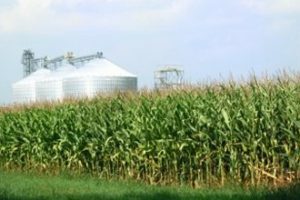 Crops that are damaged during storage are a complete waste to your business. You need to ensure that your grain bin can protect them at all costs. If you’re in the agricultural industry, you should be using grain bin bolts during the construction of your grain bin system. Here are the top five reasons why. You need your grain bin to be tough. It needs to be able to resist heavy loads when you’re dumping in and removing thousands of pounds of grain from it on a regular basis. When you use grain bin bolts in the construction of your grain bin, you can guarantee that it will be able to withstand the pressures being placed on it. Grain bin bolts are strong and reliable enough for your industrial needs. Your grain will be safely stored all year round. Your grain bin needs aren’t going to be exactly the same as your next-door neighbour’s. You might be storing different types of agricultural products. You might have different load requirements. You need fasteners that can be created based on your unique needs—based on your specific application. When you buy grain bin bolts from a reputable supplier, you can have them custom designed to your precise configurations. Work with a manufacturer that specializes in custom designs and you’ll have experienced engineers helping you to design the exact grain bin bolts that you need. Choosing the right fastener for your application is largely based on your grain bin’s specifications, and with custom design, you’ll get bolts that are a seamless fit. The walls of your bin need to be connected with a tight seal in order to keep the elements away from your stored agricultural products. If the fasteners you use don’t provide a weather-tight seal, the cold winter weather conditions and warm summer air have the potential to damage your product. Moisture can seep into the walls and spoil your grain. Moisture leads to nasty odours and mold—which isn’t good for business. When you use grain bin bolts to connect your grain bin walls, you can have peace of mind knowing that your crops won’t be damaged because of snow, rain, heat, or humidity. You’re storing food products, and with that comes the risk of creepy crawlies trying to get into your grain bin to eat what you’re hiding. An insect infestation can destroy your product, become a safety risk, and cause you to lose out on profits. When you use high-quality grain bin bolts, though, you can ensure that insects will have no tiny holes to crawl into, so you can protect your crops. High-quality grain bin bolts might cost you more up front, but the added protection you will receive will absolutely be worth the extra cost. You’ll get the strength you need to keep your grain bin together—you won’t have to worry about rusted, broken, or worn-out bolts affecting the structure of your bin. You’ll also get a tight seal that will keep both the elements and insects out. With high-quality bolts, you won’t have to dish out money to repair a broken grain bin and you won’t have to throw out most of your crops due to spoilage or infestation.